April | 2011 | Eugene is huge! No… I’ll write whatever I want to..
Well, this isn’t the first time that one of my “customers” has complained about my lack of updates. I got several e-mails over the past few days from some people complaining that my past few updates aren’t appropriate for my blog. One guy, who says he found on the Korean Bloglist, complained that my blog is supposed to be about Korea and is not accomplishing its goal. I really don’t understand these people. I write what I want to write, and while I do occasionally write about Korea from time to time, that’s not going to be the topic of my posts all the time. If you want to read more about Korean stuff only, then there’s a whole k-bloglist for you (which is how you found me, remember)? Go check one of them out to get your “how to understand this exotic and new culture” fix. 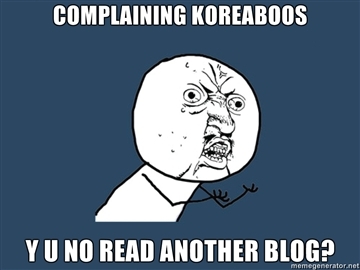 Edit: I changed the picture from Koreaphile Complainers to Complaining Koreaboos after realizing that this post might be the first instance of commenter ilovemikan’s newly coined term on the K-blogosphere. Why I hate and love fantasy baseball. Not quite what I mean by fantasy baseball... I hate the Red Sox afterall. If you have not figured it out yet, I love baseball. I think with all my time out of the U.S., the one thing that makes me realize that no matter what I do, what I eat, or where I live, I am an American is the fact that every April my attention makes a noticeable shift towards a quaint little stadium on Eutaw street in Baltimore and the team that plays there. While I can’t actually watch this team live, or even on TV (as there aren’t any Koreans on the team, I’m only afforded the chance to watch highlights of Korean players doing well against them if I am lucky) I can’t shake my love for the Orioles despite the fact that they’ve been terrible for most of my life. (In my early childhood they were good, then only decent, then good again when I got to college, only to collapse into mediocrity once I had enough money to actually watch them as much as I wanted to after college.) Even though my team has basically sucked since I’ve really gotten into baseball, something has been very instrumental in making me more of a baseball fan despite all the losing. According to my fantasy profile on Yahoo, this year marks the 10th year that I’ve been playing fantasy baseball. Fantasy baseball is a game where you assemble a team of real players and use their real stats against a league of other teams over the course of a long baseball season. Okay well before I explain, let me get one of my reasons I hate fantasy baseball out of the way. 5. Nobody cares about fantasy baseball enough to want to hear you talk about it unless they also play fantasy baseball, but then they only want to talk about their own team, not listen to you talk about yours. And if you’re one of those people, you should probably stop reading now. If you’d like to read on, then you can learn more after the break. 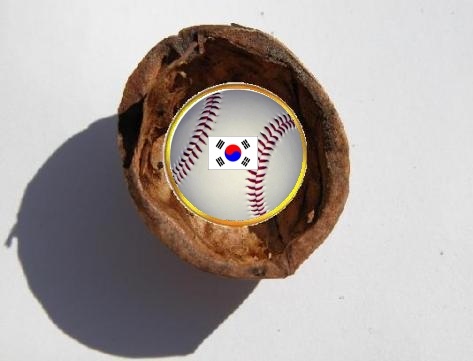 Korean Baseball in a Nutshell. I do not know much about Korean baseball. Do you follow kbl and if you do can you explain how it is. What i mean is do they have divisions, dh rule etc. So I figure that now is as good as any to provide my knowledge of Korean baseball. Here is Korean baseball in a nutshell. So, why did you choose black and orange as the colors of your blog, Eugene? But most of my readers have never seemed to care about anything that I write whenever I talk about sports, unless it’s about the World Cup and Koreans are involved. Either way, I love baseball. 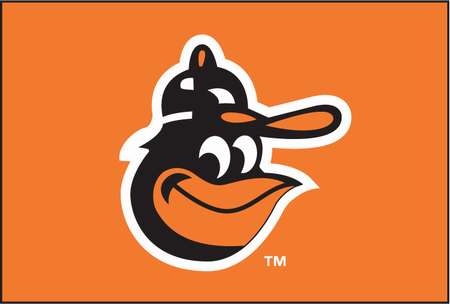 My home team is the Baltimore Orioles. And after 3 games, the Orioles are in sole possession of first place in the American League East. For those who don’t know about baseball, this doesn’t mean much, because the season is 162 games long. This might also be the only time that the Orioles will ever be able to sniff first place for the entire season. So I’ll be doing here what good teams usually do at the end of the season. It appears my last post quickly skyrocketed to most viewed post ever, and I am now being referred to by sites such as, yellowworld.org, and eurasiannation.com as I guess, some of their members have chanced upon my blog, and thought they’d found the next Peter Coffin. That’s really funny considering that I’m actually a moderator over at Yellowworld, and I thought the people in charge of Eurasian Nation at least knew who I was, since I submitted somewhat of a diatribe of an article almost 10 years ago. That I am tricking people at both places with my last post is somewhat surprising, but I think it goes to show that I’m either not as popular as I think I am, OR people don’t read carefully before making judgements. Anyway, I just wanted to clear the air here. I’m really Eugene Hwang. I really do have a Korean Dad and a White Mom, I really do live in Korea and have been living here since 2006, and I really do speak Korean and Japanese in addition to English. The picture displayed in “about this blog” really is me, and to top it all off, I really am huge. Unfortunately I fear the April Fool’s Day post might balloon into something more popular than the whole blog itself, but meh, more traffic to my blog is good. 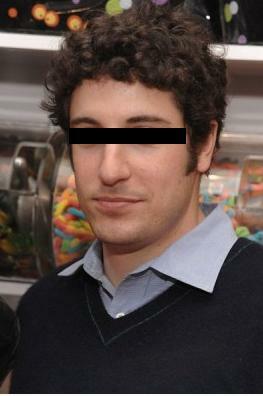 Oh, and the more astute of you readers may have recognized that the pictures I used as Jared Willoughby are in fact pictures of actor Jason Biggs. I had originally constructed the post with some random pics I found on the net, but since they were of a real person, I decided to go with a modified celebrity picture instead. This is who I really am. But still I have to protect my identity just in case any haters identify me on the street.